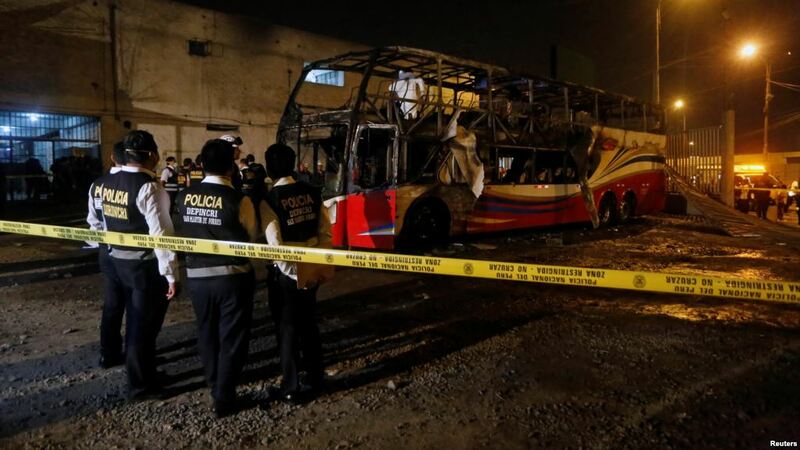 ​Officials in Peru say at least 20 people were killed on Sunday, 31 March 2019, when a double-decker bus burst into flames in Lima, the capital. At least eight people were injured in the blaze on Sunday that started at a bus stop in the San Martin de Porres neighbourhood. Witnesses say the fire started at the rear of the vehicle and quickly spread. 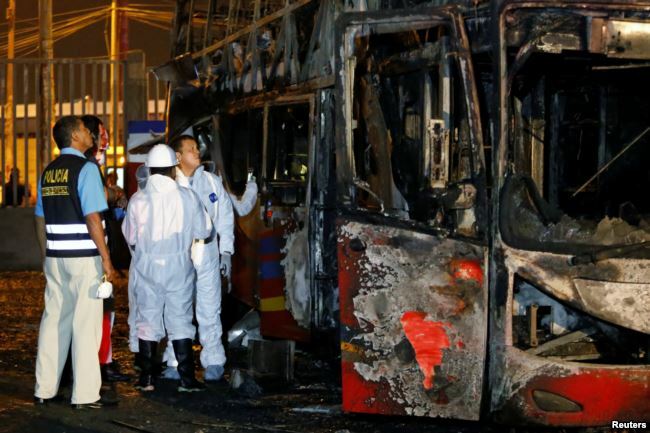 Most of the dead were killed in the upper deck of the bus, officials say. It was not immediately clear how many people were on the bus. Authorities say the vehicle did not have any fire extinguishers. 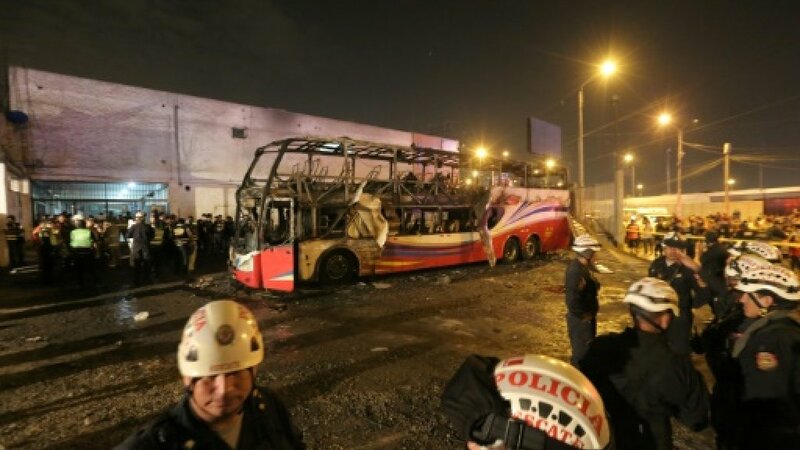 The fully-packed long-distance bus was en route from Lima to Chiclayo when it burst into flames. Initial reports said an electrical fault at the rear of the bus triggered the blaze just after 19h30. "The fire led to the deaths of at least 20 people," fire department official Lewis Mejia said. Authorities did not say how many people were on board. One unidentified man, broken by grief, told local television that he had lost six family members including his wife, children and grandchildren. Lima's mayor, Jorge Munoz, visited the injured in hospital and announced an investigation to punish those responsible. "I am totally outraged," he said, recalling that insecurity and other problems had led to the closure of the Fiori terminal last year. The station is in Lima's populous northern San Martin de Porres district, from where the bus was to depart for the northern city of Chiclayo. Fiori was operating illegally after local authorities closed it in January 2018 for the unauthorised sale of fuel to public buses. 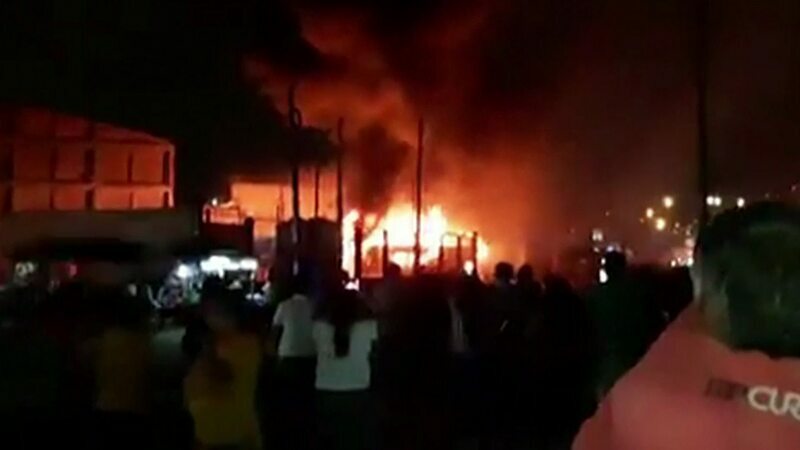 The fire was one of the worst in Lima since December 2001, when a fireworks blast caused a market blaze that killed about 300 people.